PALMDALE, Calif.—“Amazing,” “inspiring” and “motivating” were a few of the words Space Camp graduates Lauren Baker and Ethan Calderone used to describe their experience recent experience at Space Camp. 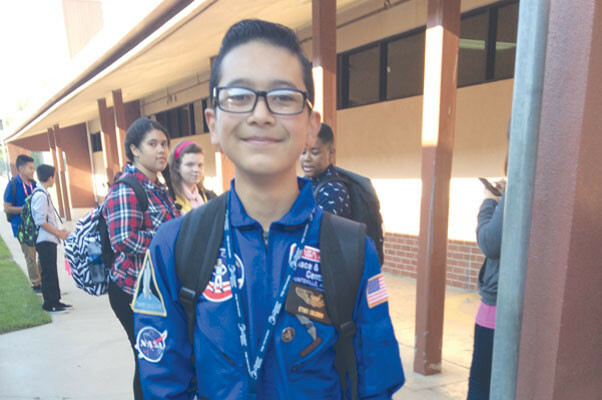 Ethan Calderone, a Palmdale Aerospace Academy 8th grade student, saw Space Camp as a great opportunity. Applying the experience of space camp to the classroom was what intrigued Aerospace Academy life science teacher, Lauren Baker, the most. Selection for space camp was based upon the students’ response to several different essay prompts; Calderone chose to write a response to each of the five essay prompts to increase his “opportunities to learn”. The academy’s selection committee reviewed the essay responses and selected the best. Those applicants were offered the opportunity to travel to Huntsville, Ala., for the experience of a lifetime. Industry partner Northrop Grumman, sponsored the trip for one student and one teacher from the Aerospace Academy. Past Palmdale Aerospace Academy students who attended Space Camp sponsored by Northrop Grumman, include Lindsay Onofre (9th grade) and Manuel Puyot (10th grade) who attended in the summers of 2014 and 2013, respectively. Onofre noted that a lot of what she learned at camp she was learning in her classes at school. The students and teacher that attended space camp know one thing is for sure, if anyone is given the opportunity to go, you should. The Palmdale Aerospace Academy charter school is a joint venture between the City of Palmdale, the AERO Institute and the Palmdale School District. 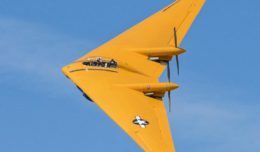 Inspired by the accomplishments of Palmdale’s aerospace heritage, the academy is a project-based learning environment within a STEM-centric professional learning community. For more information, visit www.tpaa.org.